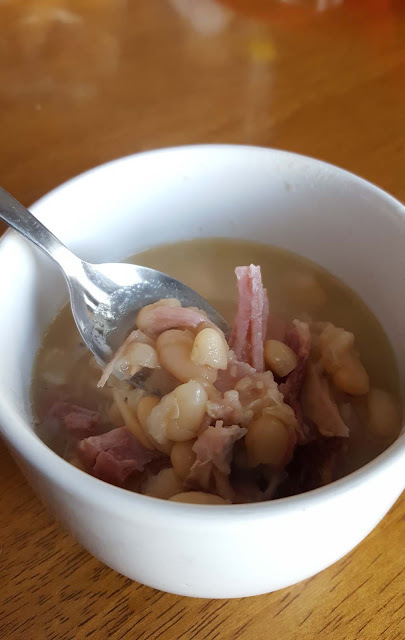 When I introduced pressure cooking to a friend of mine, she wanted to make a ham and bean soup. Not just any ham and bean soup, but one her mother made when she was a little girl. I got a hold of her mom and she seemed shocked that I asked for the recipe. "Put a ham hock (bone) in the slow cooker, add water, and beans." 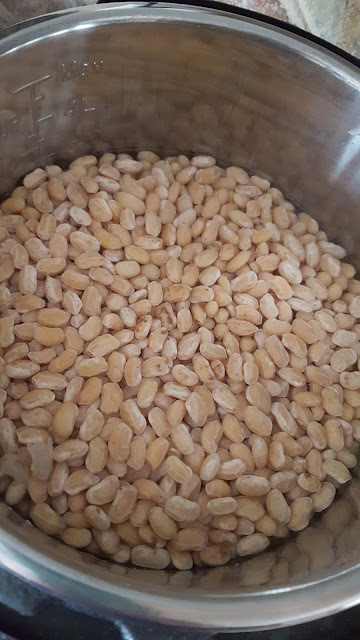 "I don't know....any kind of white beans...."
I knew there had to be more to it than that, so I scoured the Internet, my pressure cooker books for recipes and ended up with this very simple (and fast, if you use the pressure cooker) soup. Cannellini, flageolets, white kidney, tepary or navy beans. The smaller, Great Northern beans provide a tender, buttery taste to this soup. 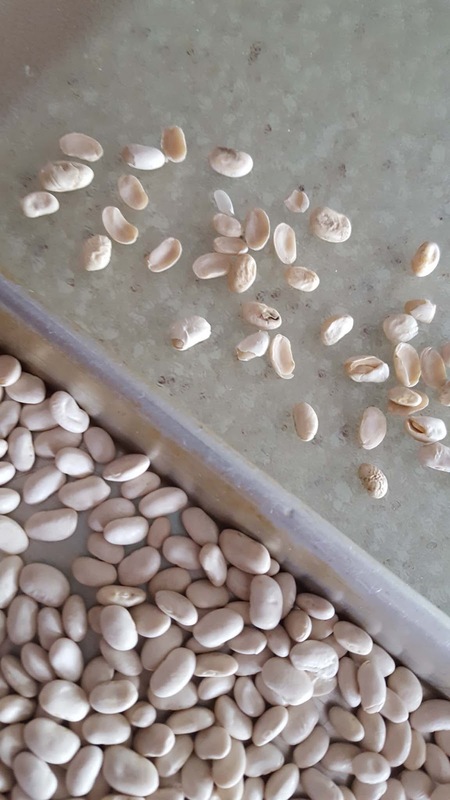 You will need to pick through your dry beans, taking out any broken beans, small stones or shriveled up beans. I only found about 20 or so in my pile of beans. Rinse your beans well, using a colander or strainer. Drain. To Soak or Not to Soak? 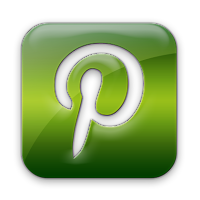 - Totally up to you, a personal preference! Soaking the beans can cut the cooking time in half. Soaking can help make the beans easier to digest for some people. Improved texture and flavor with the quick soak vs overnight soak. No soaking can have a deeper flavor, be firmer to the bite, and keep their shape while cooking. 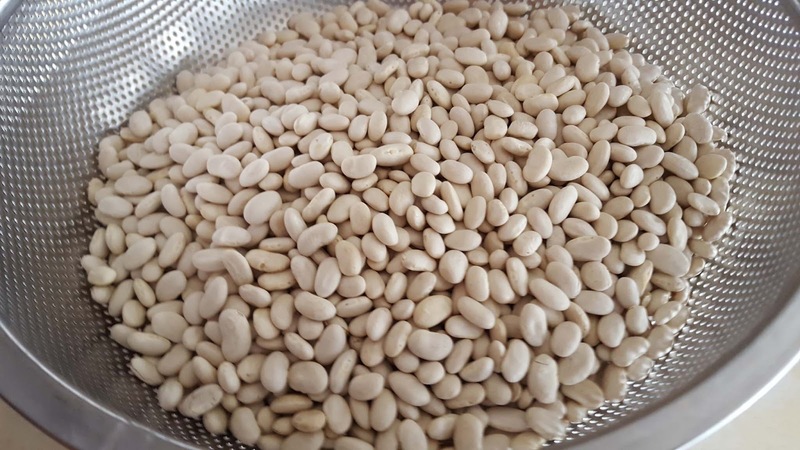 As a general rule, the older and drier the beans, the longer they'll take to cook. Use beans within 6 months of purchase for best results. Add 1 tablespoon of oil or butter to prevent foaming or to prevent a loose bean skin from blocking the vent. Do not fill the pressure cooker more than half full. Adding too much salt can slow down the cooking time, so don't add more than what the recipe calls for. Salt can help tenderize the beans. Always use a full natural release. Wait for the pin to drop before opening the cooker. If you are cooking your beans in an acidic (tomato based) broth, soak your beans and cut the cooking time in half. Unsoaked beans don't become tender if cooked in an acidic broth. Cook beans, drain, cool and freeze in 1 1/2 cup portions for recipes that call for a 15 ounce can of beans. Cover with 8 cups of water and stir in 1 1/2 teaspoons of sea salt or 1 tablespoon of coarse kosher salt. 2. Quick Pressure Soak your beans in the pressure cooker. Cook for 3 minutes at high pressure and do a full natural release. This will take about 45 min. 3. Forgo the bean soak and do a longer cook time, 25-30 minutes. I chose to do a Quick Pressure Soak. Next time, I will put the rinsed beans in dry (unsoaked) and cook for 25-30 minutes. Using Saute Low, melt the butter and saute the onions for about 3-4 minutes. Add the minced garlic, and cook till aromatic, about 2 minutes. I had a leftover ham bone from a spiral cut ham. Add the ham bone (or ham hocks), about a pound of ham pieces, rinsed beans, salt, and pour 8 cups of water over everything. Cook using High pressure for 12 minutes, with a full natural release, about 20-30 minutes. You do NOT want to use a quick release. If you do, you may get beany soup spewing from the pressure valve, with split and mushy beans. Letting it naturally release completely is much better. 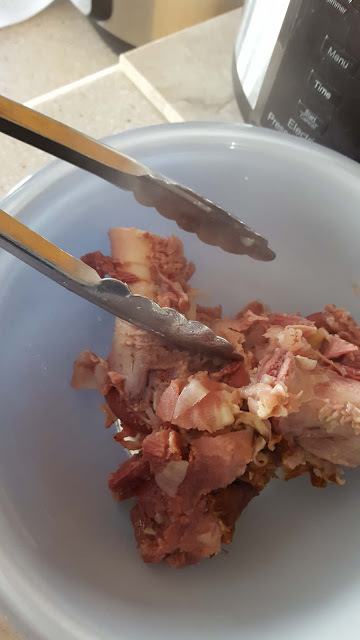 Open the pressure cooker, remove the ham bone using a pair of tongs, into a bowl. 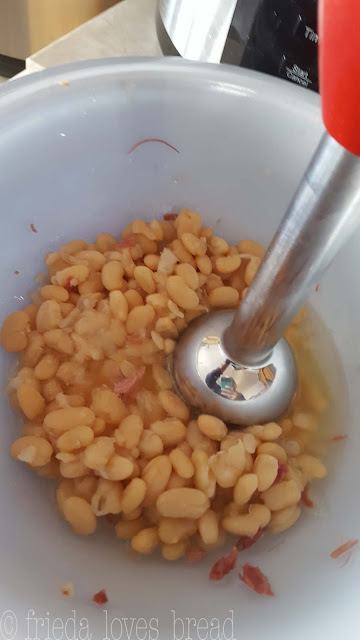 Using a ladle, scoop about 2 cups of cooked beans into another bowl. Use an immersion blender or stand blender to puree the beans and put back into the soup. This will help create some thickness to the soup. Remove some of the larger pieces of ham, cut them up and return to the pot of soup. I love using kitchen scissors for this job, as I don't have to wait for the meat to cool. I gave this soup and the recipe to my friend as a Christmas present. She loved the soup ~ it didn't last long and now she has the recipe to make it any time she wants. 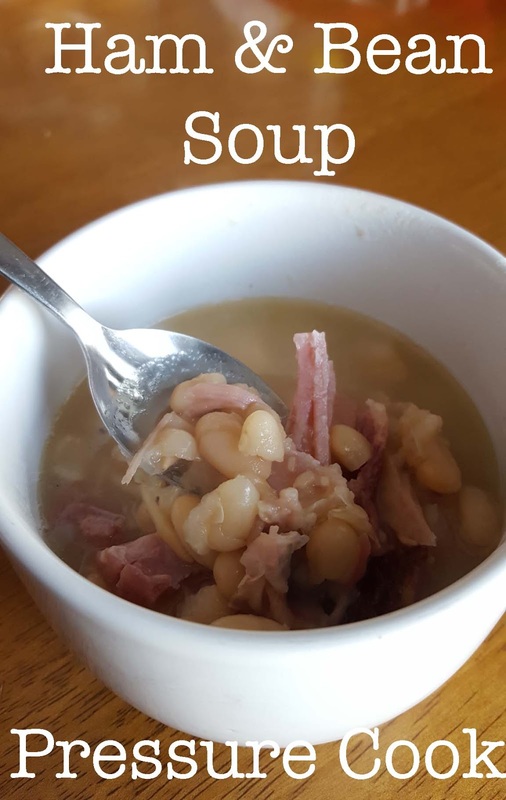 A classic white bean soup that uses ham hock or left over ham. 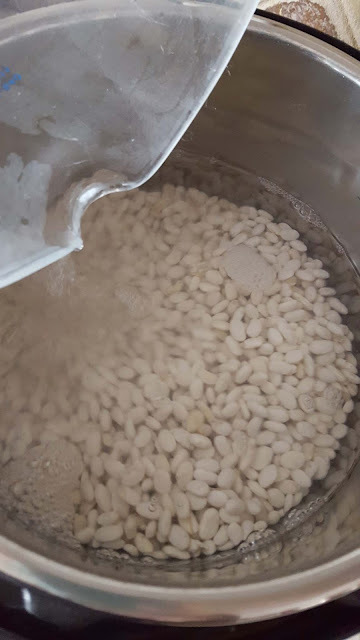 You can choose to pressure-quick soak your beans or use a longer cook time without soaking. 1. Pick through the dry beans, removing any broken, split beans or rocks. 2. Rinse the beans. Cover the beans with water and stir in salt. Choose an overnight soak or a Quick pressure cooker soak.Overnight Soak:Let beans sit in salt water for 8 hours. Pressure Soak: Pressure cook on HIGH for 3 minutes, allow a full natural release (NPR, about 30 minutes)3. Drain and rinse the beans.4. In the pressure cooker, select Saute/Browning and melt the butter.5. Add chopped onions, cook for 1-2 minutes, until softened.6. Add minced garlic, saute till aromatic, about one minute.7. 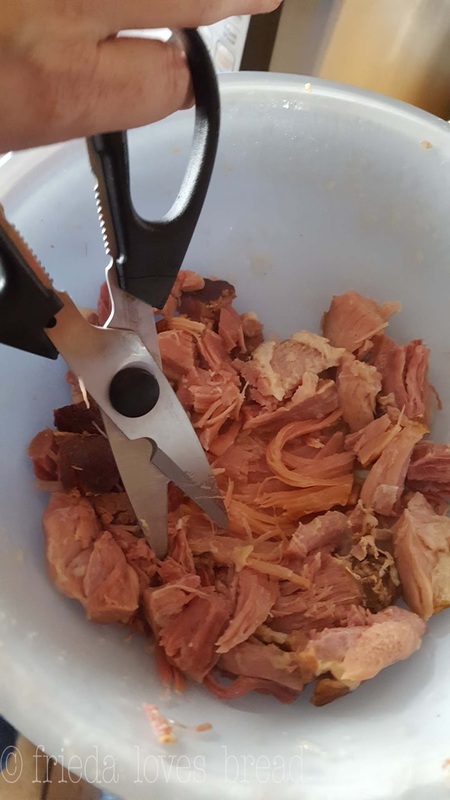 Put ham bone & ham pieces into the pressure cooker. 8. Add rinsed beans and 8 cups of water. *See below for DRY BEANS option 9. Pressure cook on HIGH for 12 minutes, with a full natural release (about 30 minutes). 10. Remove ham bone from soup and remove any ham left on the bone. Cut any large portions of ham into bite sized pieces. 11. Remove about 2 cups of beans and puree, using an immersion blender or stand blender.12. Put cut up ham and pureed bean back into the soup. Salt and pepper to taste. *UNSOAKED/DRY BEANS: Put dry beans in with the 8 cups of water and veggies. Select HIGHpressure for 25-30 minutes, with a full natural release (about 30 minutes). VARIATIONS: 1 cup chopped carrots 1/2 celery stalk, chopped 1 (14 oz) can diced tomatoes (use in place of 1 3/4 cup water) 2 Bay leaves Garnish with parsley or add a dash of hot sauceSLOW COOKER: Put all ingredients (rinsed beans, salt , ham, ham bone, butter, onion, garlic, 8 cups water) into slow cooker. 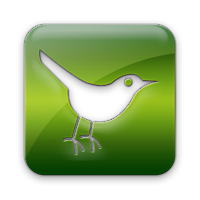 Select LOW for 8 hours. At the end of cooking, remove the ham bone and process as directed in the recipe above.